Wearing: eShakti dress, Michael Kors via Mara Vintage Shop bag, Thrifted heels, Vintage earrings, Target hat. I feel like it's been forever since I've worn a lovely little vintage-inspired dress like this one from eShakti. While I enjoy trying other styles and mixing things up a bit, I do love revisiting my favorite look of wearing a vintage or vintage-inspired dress, kitten heels, and a big ol' hat. I was so excited when eShakti offered me a dress from their site, because while I had never heard of their shop before they emailed me, as soon as I started browsing around I found that I was completely in love with just about every dress on there. 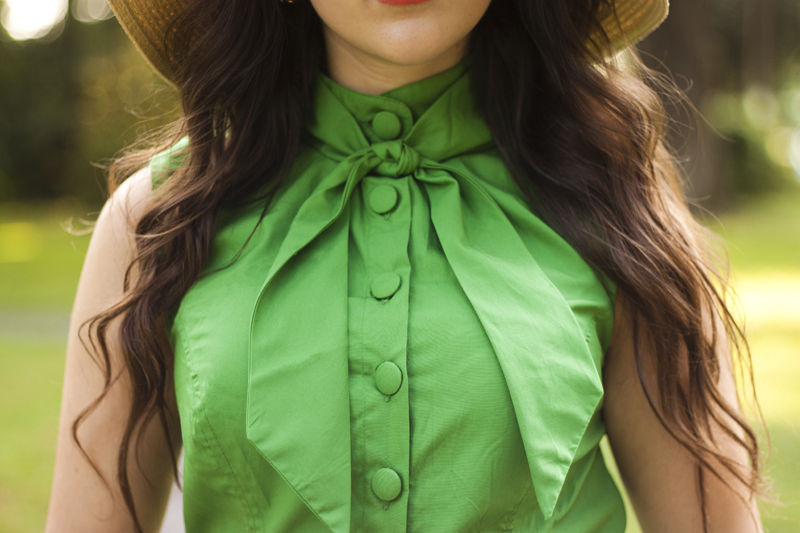 They have so many gorgeous vintage-inspired styles and most of them are in a variety of beautiful colors, like this dress! Oh, and the best part is that the dresses are size customize-able, so you can either select from the standard sizes XS-6X, or add in your custom measurements. After that you put in your height, and select your preferred sleeve type and dress length. For my dress, I just selected the "as shown" option for each because I loved the way it looked already, but it's so amazing that you get to have a variety and pretty much make your own dress! I am absolutely in love with this site and recommend all of you to go check it out! what a beautiful dress, very nice neckline! and the color looks great on you. Such a lady-like classic look! That green is a stunning colour too. That green dress looks amazing! Ahh! Could you be more retro or put together? 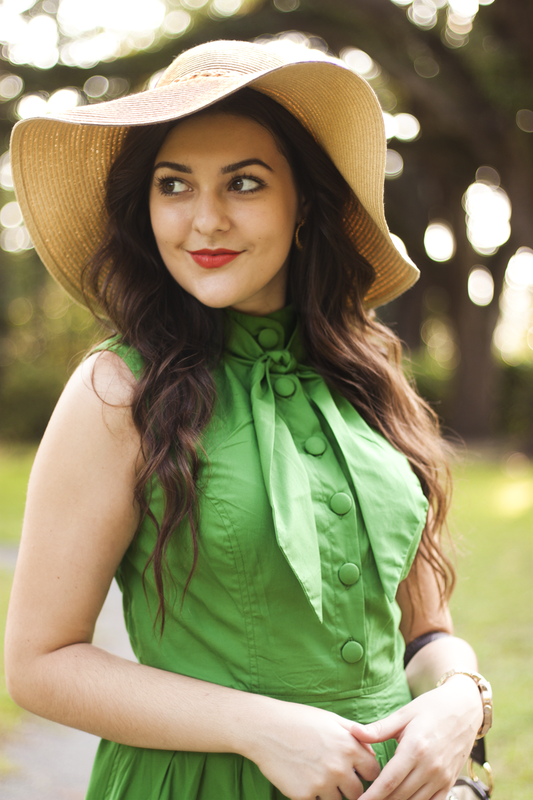 This is one of my all time favorite looks from you, and no wonder, with an eShakti dress! You made the right decision when it comes to color, because that vibrant green looks stunning on you. Love everything about this!